If you need to buy an unlocked Samsung Galaxy Note 9, Galaxy S9, or Galaxy S9+ right now, you should consider getting it from Microsoft (which, as you may know, has been commercializing Android phones in the US for quite some time). 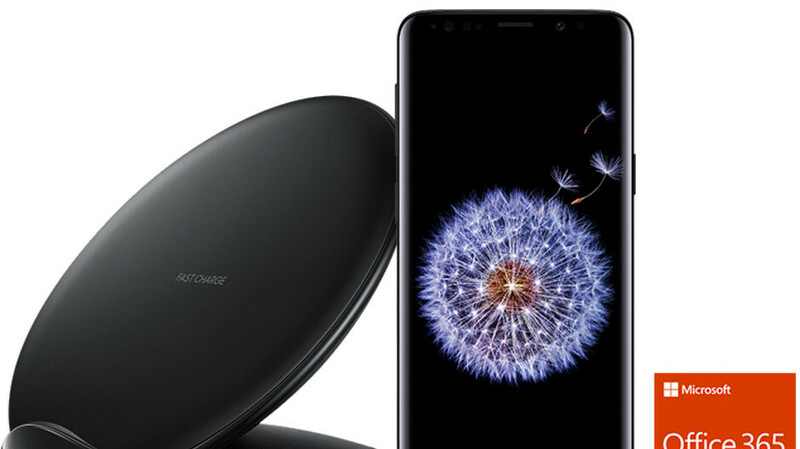 Microsoft is currently selling the Galaxy Note 9 and Galaxy S9 series at prices that match Samsung's ($100 off all models), but it's offering something extra with each purchase - a free Samsung Wireless Charging Stand (2018), normally priced at $69.99. Buying a Samsung Galaxy S9 or S9+ from Microsoft will also get you a free 1-year Office 365 Home subscription (normally priced at $99.99; can be used by up to 6 users on PC or Mac). The Galaxy Note 9 does not come with said free subscription. These deals will be available for a limited time, but Microsoft does not say exactly when they're going to expire. If you're interested, maybe you should hurry and order your desired Galaxy phone.